Thrill seekers will find their fix with this extreme sports adventure. 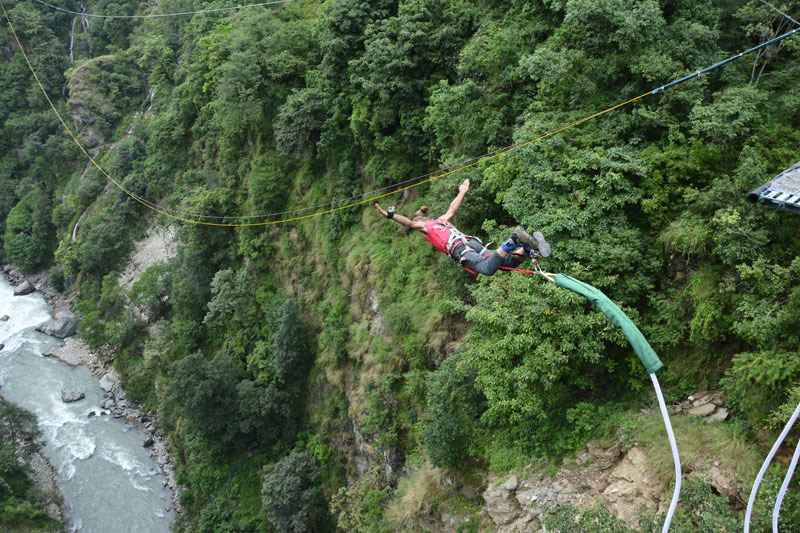 Designed by a bungee consultant from New Zealand, this state-of-the-art bungee facility at the Bhatakosi River Gorge combines first-rate thrills and first-class safety. Located just three hours from Kathmandu at the Nepal-Tibet border, this facility combines breathtaking natural views with a healthy dose of adrenaline. Package includes bungee jumping experience and photo, video, and t-shirt souvenir. Participants must be in good health. Kathmandu to Bungy Point (The last resort) and return to Kathmandu by bus.